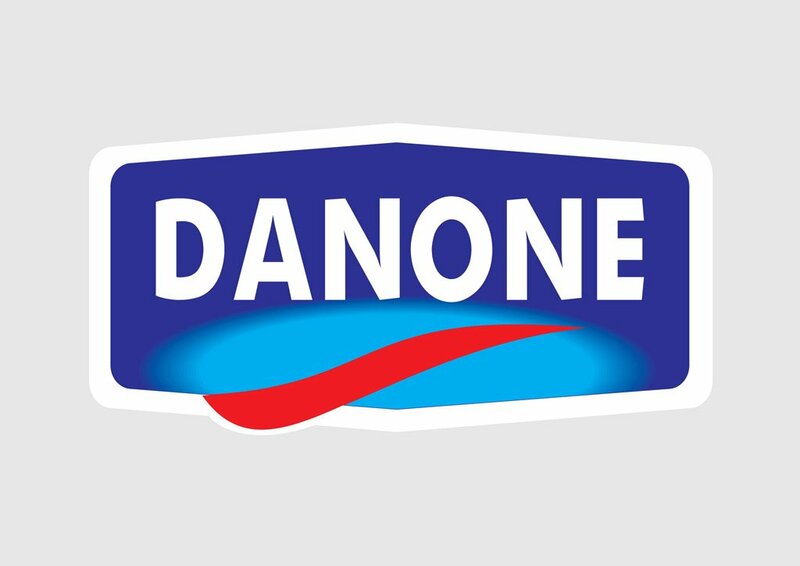 Danone company logo in vector formats. Danone or Groupe Danone is a food production multinational headquartered in Paris. The company's core business is the production of dairy products such as desserts, baby food, cheeses and yogurts. Danone also produces mineral water and cookies. Logo is the copyright of the respective owner.